Bertie’s has been taking part in the Governments Local Business Accelerator programme and has just scooped a prize with 2 other local companies, Milk Chic and FooARage. The competition was devised by the Newspaper Society and backed locally by the KM Group. Bertie’s will be receiving free adverting across KM’s newspapers and online, along with help from locally based business advisors Reeves. The next stage of the competition will give the regional winner the chance to pitch to Deborah Meaden of Dragons Den! Mrs J of Tunbridge Wells was the lucky 1st prize winner of our recent “Win a Winter’s Worth of Bertie’s Logs” competition in Index Magazine. Here she is receiving her prize delivery from Peter. Last month we ran a competition with Index Magazine to offer their readers the chance to win a Winter’s worth of Bertie’s kiln dried logs. 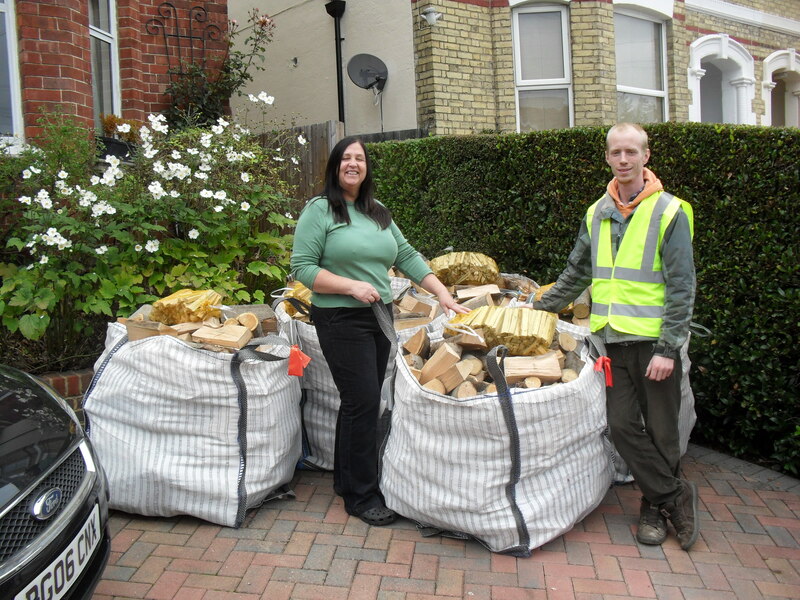 Marilyn J of Tunbridge Wells, who wins 6 bulk bags full of Bertie’s firewood! The runners up were Kate W also of Tunbridge Wells, Nigel H of Buxted and Phil H of Mountfield. 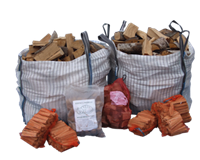 Winning 2 bulk bags each of kiln dried logs. Look out for our new competition later this week. 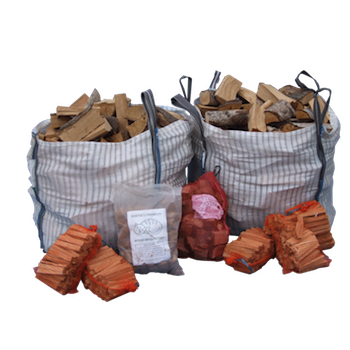 We have teamed up with our friends at Index Magazine to offer one lucky reader the chance to win a Winter’s worth of Bertie’s kiln dried logs! To enter this great competition see the latest issue of Index Magazine or go to www.indexmagazine.co.uk.